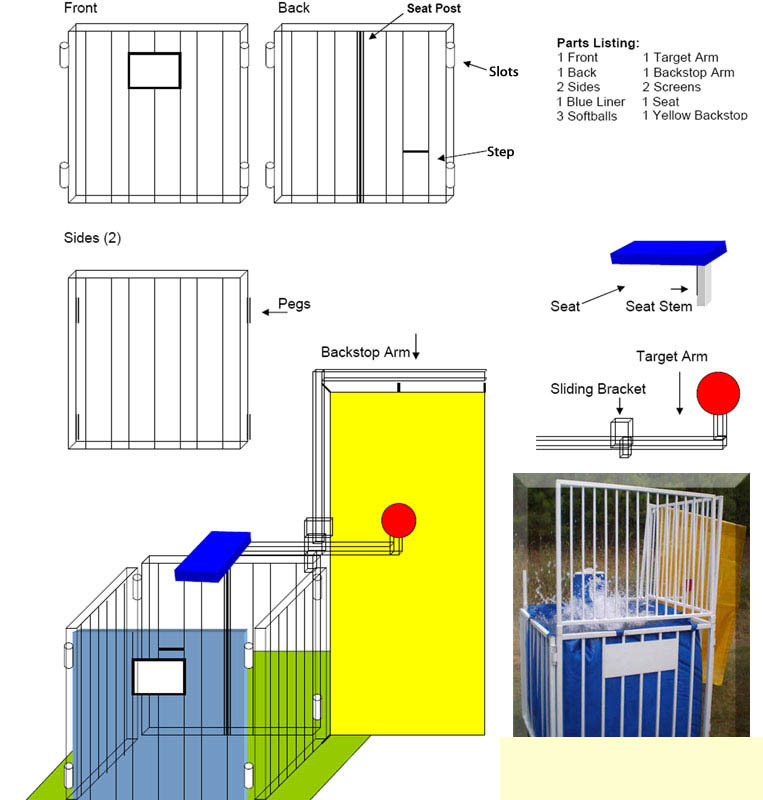 The Portable Dunk Tank Rental by Fun Events Inc. 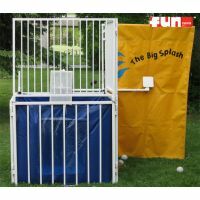 The Dunk Tank Party Rental has been entertaining picnic and party guest for years. Dunk the boss or company manager at the company picnic in the fun events dunk tank rental. The Dunk Tank has always been a great fundraising idea at school fairs, carnivals, and summer block parties. We will deliver the dunk tank rental to: Milwaukee, Waukesha, Menomonee Falls, Muskego, Mequon, Racine, Kenosha, Madison, Green Bay & beyond. The dunk tank party rental is portable and easy to transport. You may also pick it up at our Oak Creek Wisconsin party rentals & supplies store. Approx. 1 hour of fill time!